Looks awesome! Gonna be cool to see a young Nick Fury, and maybe find out how he lost his eye! There’s lots of epic looking space action in this trailer, really enjoyed it. Captain Marvel looks so exciting. Great to see Nick Fury as well, I hope we find out how he lost his eye as well! I am now officially excited to watch this movie. Looks great! It is and of course there’s the possibility she ends up in the next infinity war movie as well. This film’s definitely looking quite excellent! It’ll be cool to finally see Captain Marvel get her own film. I look forward to also seeing her go up against Thanos soon. Everytime I decide I’m tired of superhero movies, something fantastic like this comes along! Looks like another solid Marvel entry. This movie looks like it’s going to be a fun experience. The skrulls do look interesting and it’s nice to see Nick Fury return as younger man. Captain Marvel looks so exciting, especially the space battles. Great to see the Skrulls as well and the younger version of Nick Fury in the film. I think the space battle scene is going to be one of the most epic fights in the movie. I wonder if we will see Super Skrull. They certainly look spectacular. This is sure to make Captain Marvel an epic movie. Would be nice to see the Super Skrull, that’s be a great foe to have Captain Marvel battle. Yeah I totally agree with you. Seeing the Skrulls might be possible that the Fantastic Four might join the MCU. It’s also interesting to see that we get to see Ronan again from GotG. I hope so. I would love to see more heroes join in the movie and team up like in the comics. I wonder what’s his role in this movie. It always fun to see Superheroes team up. As for his role in the film, I guess we’ll have to wait and see. I agree. 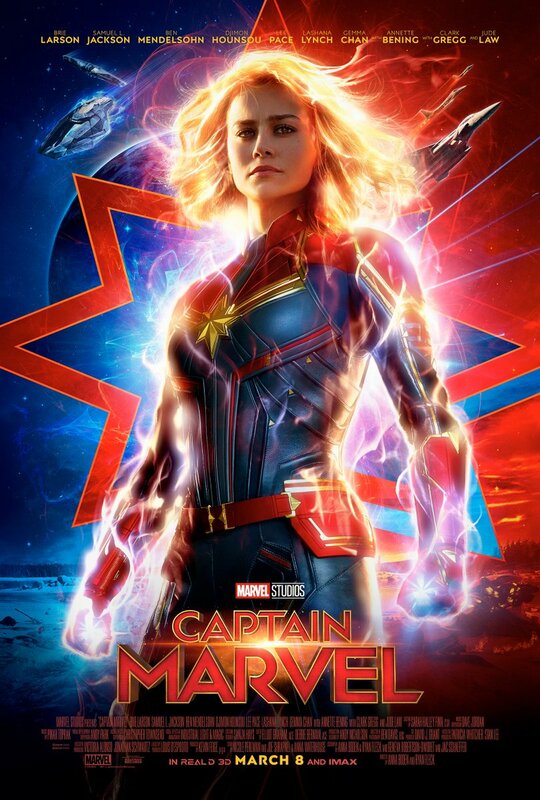 I wonder how powerful will Captain Marvel be and how is she going to be in Avengers: Endgame. I would expect here to be in the Thor / Hulk power level, in terms of strength and raw power. I can imagine that. I don’t know much about her in the comics but I hear her powers is similar like that with cosmic energy. I must admit, I’ve not read many of the comics featuring her. I’m more familiar with the original Captain Marvel comics and character. Still, I’m looking forward to seeing Carol Danvers / Captain Marvel arrive on the big screen. Oh the original Captain Mar-vell? It looks like they got the character appearance like the comics. I hope this will be a great appetizer before Avengers: Endgame. It will be fun to see the 90’s version of the MCU, sure it’ll be fun. You would like that Captain Marvel graphic novel I’m sure, the Death of Captain Marvel is such a moving story. Yeah and it’s going to be funny to see how well accurate the 90s are in this movie. 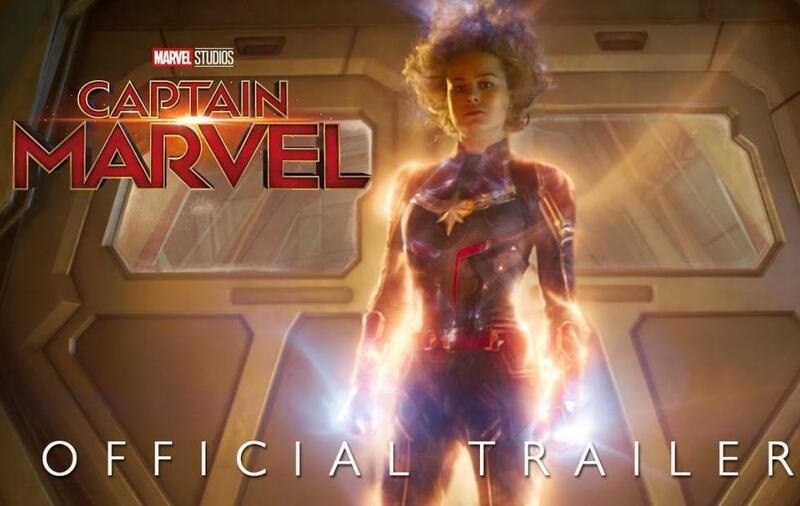 So far I am liking Captain Marvel’s design on her suit. I remember hearing that novel being one of the biggest moments in Marvel comics. It shows that even superheroes can succumb to realistic death like cancer. Indeed, the costume looks just right to me. That Captain Marvel story is certainly a major turning point in comics, iconic for its time, and the artwork was brilliant too. I agree. It’s cool that they even captured that helmet look when she is fighting in space. I hope we get to see Captain Mar-vel in this movie. Maybe I should try and find a copy of the book. I expect we might, would be nice to see. Yes, I’d treat yourself to that graphic novel, its very good. Once Endgame is complete and finished, I wonder what other projects Disney-Marvel are going to be doing in the future. I expect the X-Men and fantastic Four will feature somewhere in future planet, and perhaps a new series of Avengers movies featuring new heroes? That would be cool. That would explain why one world has mutants and how come they never met any of them. I did hear fans say something like they want to see a Secret Wars movie. I think a Secret Wars movie would be awesome, and a good way to bring all the new heroes and teams together in one giant movie! I think so too. Hopefully, we get to still keep the same actors and their heroes. I wonder if Galactus will be the next cosmic threat for Earth. Would be awesome to see Galactus appear in the MCU, especially along with the Silver Surfer! That would be amazing. If Disney can get the rights of the heroes from Fox, we could be getting an amazing Marvel movie greater than Infinity War.